Going away on holiday but the family or neighbours don’t feel comfortable looking after your pet? Book in at the Fangs & Fins pet hotel from a weekend away to a long summer holiday. All animal boarding is done in our designated quarantine area away from the sales stock. 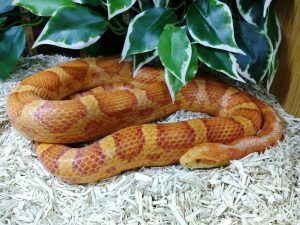 We have vivarium’s ready for snakes, lizards, tortoises, and any other type of animal you might have, including small mammals. All our animal enclosures and equipment are sterilized after each use to safeguard your pets’ health while staying with us. Fees cover all bedding and feeding, but you are very welcome to bring in some of your pets décor or favourite foods if you want to. Contact Us to get a price and book your pets stay with us .